Cosmetic dentist, Aung Myint, DDS, has announced the launch of a new, patient-focused website created by dental website design leader, ProSites, Inc. Dr. Myints practice is utilizing the website to educate the community on the importance and ease of attaining good oral health. The website includes a links page with informative dental resources as well as a frequently asked questions (FAQ) page to address common concerns on topics ranging from bad breath to the safety of silver fillings. It also offers valuable information for those researching noninvasive treatments for dental implants in Visalia. "This web site is mainly to educate people about dentistry and to let them know what kind of services we can provide to maintain and promote the oral health of the people, says Dr. Myint. The website also utilizes extensive search engine optimization techniques to reach patients and local consumers who are searching for Gummy Smile Treatments in Visalia or other cosmetic procedures. People can learn many subjects about oral health from our web site. They will learn ways to be able to take care of their teeth properly. says Dr. Myint. The website explains everything from very basic oral health care to all of the latest concepts and hi-tech dental services. Our Smile Gallery section is also great because it shows that simple esthetic changes can make a big positive impact on their smile line. I hope our website puts people at ease and helps them feel comfortable calling us whenever they need dental care. Dr. Myint has over 30 years of experience in practicing dentistry. He graduated from the University of Dental Medicine in Rangoon in 1977. Dr. Myint continued his postgraduate training in the state of California emphasizing on Cosmetic dentistry, Implants and Invisalign. He has a special interest in creating beautiful smiles using simple and complex aesthetic dentistry with updated technology including the minimally invasive computer guided surgical technique for placing dental implants. Dr. Myint is a member of the American Dental Association, the California Dental Association, and the American Academy of Implant Dentistry. To learn more about the practice, log onto abcdentalgroup.net. Infographics from HealthCompare, a nationally recognized health insurance comparison site, seek to educate consumers on hardships related to health insurance. Infographics are a new type of graphic that helps illustrate typically difficult ideas and topics by extracting the essence of data and arguments from things like scientific reports, debates, industry reports and more. These types of documents characteristically contain jargon and difficult language that often dilute their meanings since those not accustomed to them often have hard times trying to decipher their meanings. Infographics make these hard concepts easy by cutting away all the unnecessary terminology and dressing up the topic essences in beautiful pictures and colors. Other infographics can be found here. Nationally recognized for its compassion, HealthCompare encourages visitors to its site to pause and ask themselves certain questions. These questions are designed to help visitors make informed decisions about the kinds of health insurance they should be looking for, as well as about their financial status in their search. Helping the consumer make educated decisions empowers the shoppers to consider all necessary angles before seeking quotes from any site or representative. What are the consumers current health care needs? Do they currently require medication? Does the consumer have a pre-existing condition? Or are they seeking to start a family in the near future? Does the financial state of the shopper allow for a lower deductible, thusly giving them a higher monthly premium? Or would having a high deductible (and therefore lower monthly premium) be more beneficial? 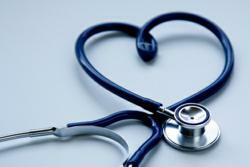 Is the consumers physician a factor? If they prefer to continue seeing their doctor of choice, HealthCompare helps them decide what policies allow that. 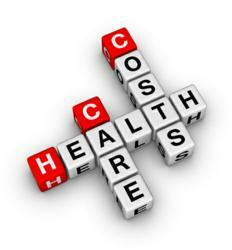 Are there any other health insurance options for the shopper, such as spouse or parent plan? How much will the policies being compared cost them from their pocket when considering deductibles, co-insurance, and co-pays? What will the policies being compared offer in terms of maximum out-of-pocket expense? Will the consumers office visits be covered? Do any of the policies up for comparison offer maternity? Is prescription drug coverage an option? How much will the consumer pay for emergency services and ambulances? Will the current primary physician and local hospitals be accepted under any of the policies being considered? 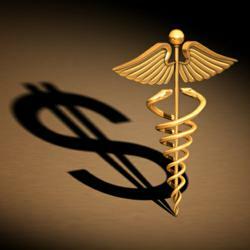 Health insurance is much more than a mere monthly premium. There are out-of-network expenses, co-pays, and even deductibles to be considered. HealthCompare wants Americans to understand what they're paying for even before they start. For more information, visit http://healthcompare.org/ or call 888.748.5152. Infographics by HealthCompare are unique graphics. These graphics are growing in popularity. They're known across the web for utilizing images and colors to help make complex data from things like scientific reports, demographics, and studies and makes them more easily understood by the everyone. Reports such as those used in scientific studies often use difficult and unnecessary language that makes deciphering results hard for those without the background for these terms. Infographics compile numbers and meanings into beautifully pleasing arrangements that illustrate rather than tell. They can also functionally set out arguments for debates, complex concepts or any other topic that could otherwise be considered difficult to understand. These new graphics explain hardships that can effect consumers when it comes to medical coverage. 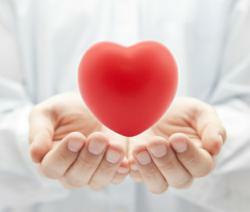 HealthCompare is nationally recognized for caring about patient knowledge and choice. They want consumers to understand as much as possible when it comes to making decisions regarding coverage that suits their needs. More infographics can be found here. HealthCompare, a nationally recognized health insurance comparison site, is releasing new tools in their attempt to help Americans who are in search of health insurance. HealthCompare, who consistently displays concern for consumers, asks visitors that come to their site to ask themselves a series of questions before attempting to find health insurance coverage. These questions are designed to help shoppers decipher what type of coverage is best for them in terms of cost and type of policy. Health insurance costs are much more involved than mere premiums and buyers must carefully consider all out of pocket expenses to understand what their policies will ultimately cost them. Health insurance costs are much more involved than mere premiums and buyers must carefully consider all out of pocket expenses to understand what their policies will ultimately cost them. That is why HealthCompare generated these infographics. Infographics are unique graphics that are growing in popularity across the web are known for utilizing images and colors to help make complex data from scientific reports, demographics, and studies to make them more easily understood by the casual reader. Reports such as the ones used in scientific studies often use jargon and unnecessary language that makes deciphering results difficult for those without the background for these terms. Infographics compress and compile numbers and meanings into aesthetically pleasing arrangements that illustrate rather than tell. They can also functionally layout arguments for debates, complex concepts or any other topic that could otherwise be considered difficult to understand. Health insurance costs are much more involved than mere premiums and buyers must carefully consider all out of pocket expenses to understand what their policies will ultimately cost them. That's why HealthCompare developed these infographics. Infographics are unique graphics that are growing in popularity across the web are known for utilizing images and colors to help make complex data from scientific reports, demographics, and studies to make them more easily understood by the casual reader. Reports such as the ones used in scientific studies often use jargon and unnecessary lanugauge that makes deciphering results difficult for those without the background for these terms. Infographics compress and compile numbers and meanings into aesthetically pleasing arrangements that illustrate rather than tell. They can also functionally layout arguments for debates, complex concepts or any other topic that could otherwise be considered difficult to understand. Other infopgraphics from this health insurance quote site can be found here. To celebrate their 50th anniversary, South Carolina dentists, Dr. Lindner and Dr. Alpert, have announced the launch of a new, patient-focused website created by dental website design leader, ProSites, Inc. Drs. Lindner and Alperts practice is utilizing the website to educate the community on the importance of oral health and the dental procedures they offer including porcelain veneers in Greenville. We understand that in todays world, almost everyone has access to the internet via their smartphone or computer. So we decided to build a website that would inform people locally and out of state who are in need of our services a way to find us, said Dr. Lindner. The website includes a blog page with informative dental content and a results page with before and after photos of dental procedures. The website also utilizes extensive search engine optimization techniques to reach patients and local consumers who are searching for relevant information about TMJ Treatment in Greenville. Our website was designed to let our visitors know who we are and what we believe in. Our purpose is to become your personal dental consultant. Only then can you make the right treatment decisions for you. Through our blog, we will be posting relevant articles, new procedures, products, and events relative to TMJ joint based occlusion and restorative dentistry, said Dr. Lindner. Dr. Leor Lindner graduated from Farleigh Dickinson School of Dentistry in 1990. For over twenty years, Dr. Lindner has had a passion for changing lives one smile at a time and has trained with some of the world's most prominent cosmetic dental specialists. Dr. Lindner has completed extensive post-doctoral training in cosmetic and reconstructive dentistry at the world renowned Aesthetic Advantage in New York City. Dr. Lindner is a member of the South Carolina Dental Association, Piedmont Dental Society, American Dental Association, New Jersey Dental Association, and the Monmouth Ocean County Dental Society. He is an alumnus of the Pankey Institute, Eubanks Institute, and Dawson Academy. He is also a member of the American Academy of Cosmetic Dentistry, which is the largest organization in the world devoted to aesthetic dentistry. 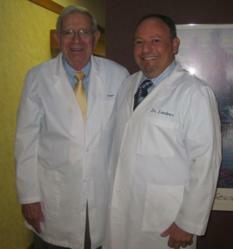 Dr. Richard Alpert graduated from the University of Tennessee, College of Dentistry in 1961. He has presented programs throughout the United States to study clubs, various state dental meetings and dental organizations, and has produced several dental educational television programs. Dr. Alpert is a guest lecturer as Associate Faculty of the L. D Pankey Institute. He also participates in private lectures and as a dental consultant. Dr. Alpert is currently the President of SC Academy of Dental Practice Administration. For more information on Drs. Lindner and Alpert, please visit their website at welove2smile.com. Idera, a leading provider of management and administration solutions for Microsoft SQL Server, SharePoint and Windows PowerShell, today announced a line-up of educational entertainment and give-aways at the Idera booth #1829 during Microsoft TechEd, May 16-19, in Atlanta. Throughout the conference, renowned magician Scott Tokar will mystify attendees while educating them on Idera’s award-winning software solutions for SQL Server, SharePoint and PowerShell. Idera will also raffle off a $ 1,000 American Express gift card to attendees who have registered for the prize during the week. The raffle drawing will take place at the Idera booth on Thursday, May 19th at 2:30 p.m.
Idera provides tools for Microsoft SQL Server, SharePoint and PowerShell management and administration. Our products provide solutions for performance monitoring, backup and recovery, security and auditing and PowerShell scripting. Headquartered in Houston, Texas, Idera is a Microsoft Gold Partner and has over 9,000 customers worldwide. To learn more, please contact Idera at +1-713.523.4433 or visit http://www.idera.com. Today Real Data Doesn’t Lie announced a new portfolio of products designed to aid Republicans and the Tea Party movement fight against the distortions of their ideals perpetrated by their opponents. RealDataDoesntLie.com offers posters, postcards, apparel, and other products featuring Real Data Graphics to educate and persuade undecided voters. Almost all political campaign and issue oriented graphics available today consist of only a candidate’s name or a political slogan. They do nothing to educate and persuade the undecided, let alone to win over the opposition. Real Data Doesn’t Lie recognized this as a wasted opportunity. Instead they offer Real Data Graphics based on thorough analysis of all the available data to clearly communicate an urgent need for action. The resulting products can be customized at RealDataDoesntLie.com to meet the specific needs of individuals, groups, campaigns, and rallies. The largest posters are designed to be used as backdrops for speeches and interviews. Real Data Doesn’t Lie is the premier creator of Real Data Graphics combining images with text and data to deliver a clear, persuasive, and memorable message. Go to RealDataDoesntLie.com for posters, postcards, and apparel featuring Real Data Graphics which can be customized to meet the needs of individuals, groups, campaigns, and rallies.